As part of the Schoolhouse Review Crew, I received online access to Time4Learning for review purposes. 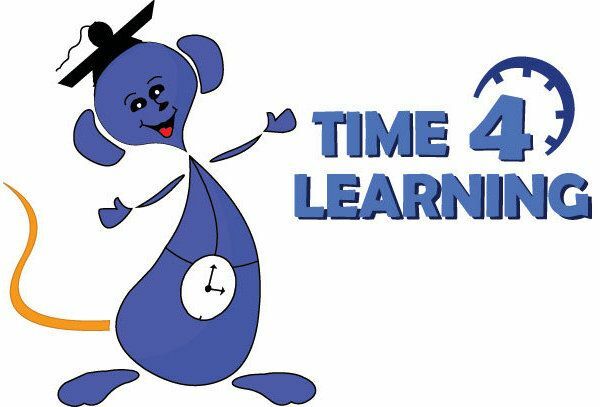 Time4Learning is an online educational program for preschool through eighth grade. The curriculum uses a combination of animated lessons, activities and worksheets. I used the 7th grade level with my 13 year old son, Zach. He used Time4Learning as a supplement, not his entire curriculum. 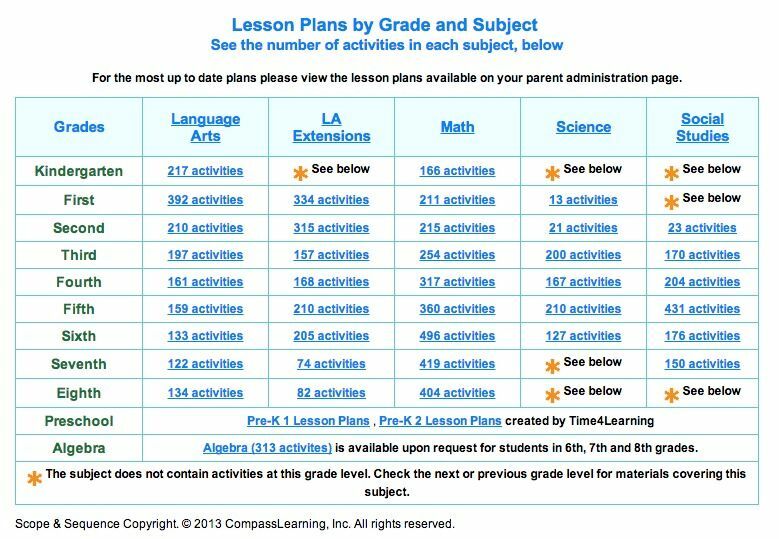 The graphic below shows how many activities are available for each subject for K-8. Let’s move on to the student side of the website. This is the Upper Level Login screen. The student can quickly and easily sign themselves in to the website. The website is set up for independent learning. As this level. the parent doesn’t have to be present while the student works. Once the student signs in, the window shown below pops up. 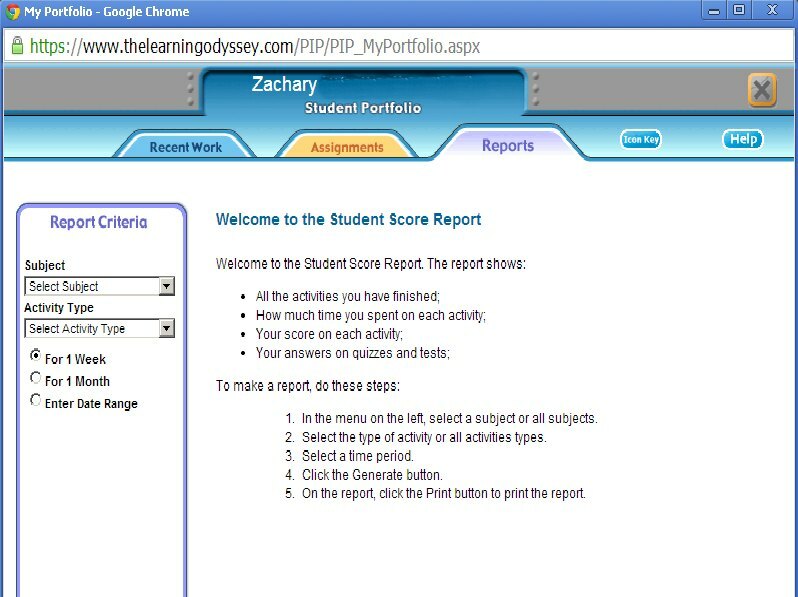 From here, the student can access the curriculum, or their reports. Once the student picks which subject to work on, another window pops up with the choices in that subject. My sons favorite subject to work in was Social Studies. Here is a screen shot of some of the available lessons. 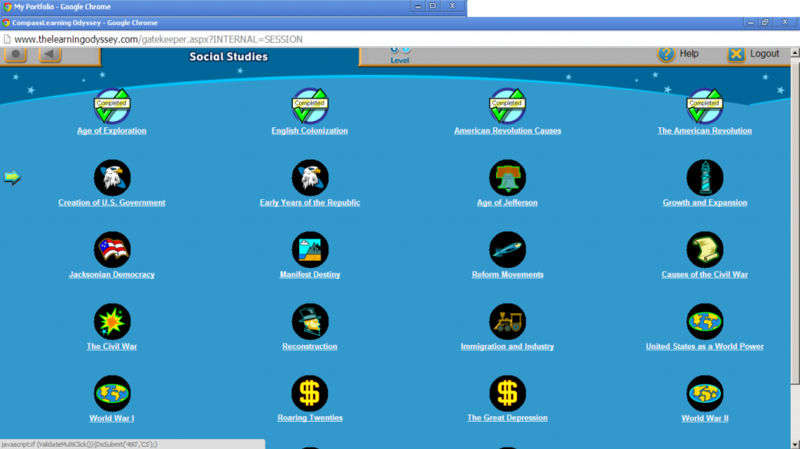 The student can also access their recent work, assignments, and reports. They can choose the subject, and the time frame to see how well they are doing. Ok, I said I’d talk more about the playground later. Here’s a screen shot from the playground screen. There are even more games and activities that aren’t included in this screen shot. 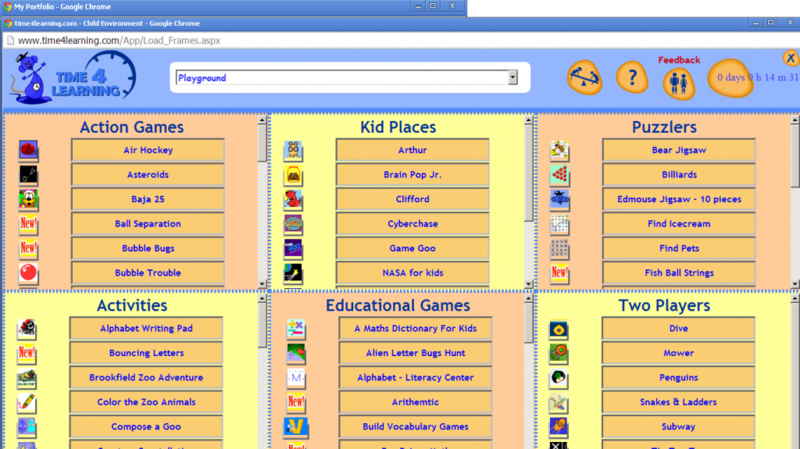 The student is able to choose what game or activity they want to do, and there is a timer in the upper right hand corner that lets them know how much time they have been playing. These are fun activities and games that are used as a reward for the student. After Social Studies, this was my sons favorite part of the website to visit. The mouse pictured in the logo at the top of this post is featured throughout the website. he is animated, and talks. I found his voice annoying, but my son didn’t seem to notice. Over all, Time4Learning is a great website. 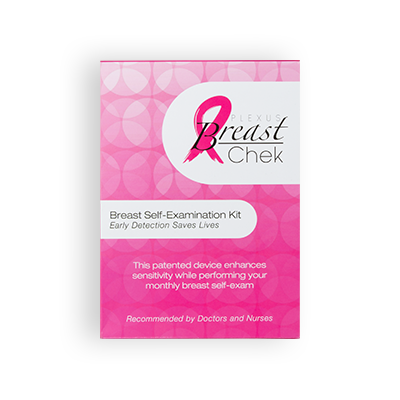 Since I used it with my son as a supplement, I didn’t research using it as a total curriculum. As a supplement, I found it very helpful. My student liked it, so that means he spent more time learning. Visit the website for curriculum demos. The cost for the PreK to 8th grade monthly membership for Time4Learning is $19.95 for the first student and $14.95 for each additional student. My boys have used this service in the past with mixed results. I think the playground was their favorite, although they didn’t mind some of the work in spurts. But, after a while the time on the computer got ‘old’ for them. I’d love to check out their high school program that launched this year, though. We have used it as a total curriculum for 5th-8th grade and it worked wonderfully! My boys are using it this year for high school, love that they finally were able to add the HS levels!! I also use it for my daycare kids as part of their preschool curriculum! We love T4L! It made a huge difference in our homeschool!